Qualifying play got underway without a hitch at the Citi Open yesterday, with only a late afternoon rain delay slowing down the proceedings. On the men’s side, University of Virginia alumni and affiliates brought out a sizable crowd of support. Virginia Cavalier fans were treated to mixed results with Jarmere Jenkins and Somdev Devvarman winning in straight sets over Farukh Dustov and Jesse Witten. Virginia’s Mac Styslinger lost in three sets to Alex Kuznetsov, 6-3, 3-6, 6-1, while Mitchell Frank was off-form in a rain-delayed straight sets loss to Malek Jaziri. Also in straight sets: 4 seed Jesse Levine had little trouble with Denys Molchanov, Yuichi Sugita dispatched Sekou Bangoura and Sam Groth beat Sanam Singh. And yes, Donald Young let another match go in a predictable spiral. This time, it was Saketh Myneni to take advantage of a second set decline by Young, who seems to be a wonderful first set player. 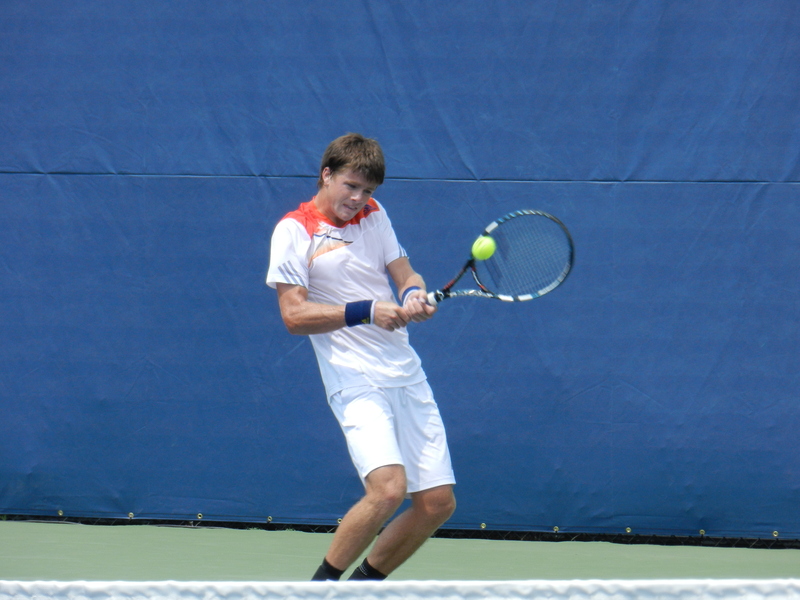 Young seemed to have the mental advantage until he was broken early in the second set. It was all slowly downhill from there for Young as Myneni prevailed 7-6(2), 6-3, 6-4. Rhyne Williams, who won a first round main draw match against Denis Kudla on Monday night at the BB&T Atlanta Open, was forced to play a first round qualifying match against Robby Ginepri. Ginepri also played in the main draw at Atlanta this week. 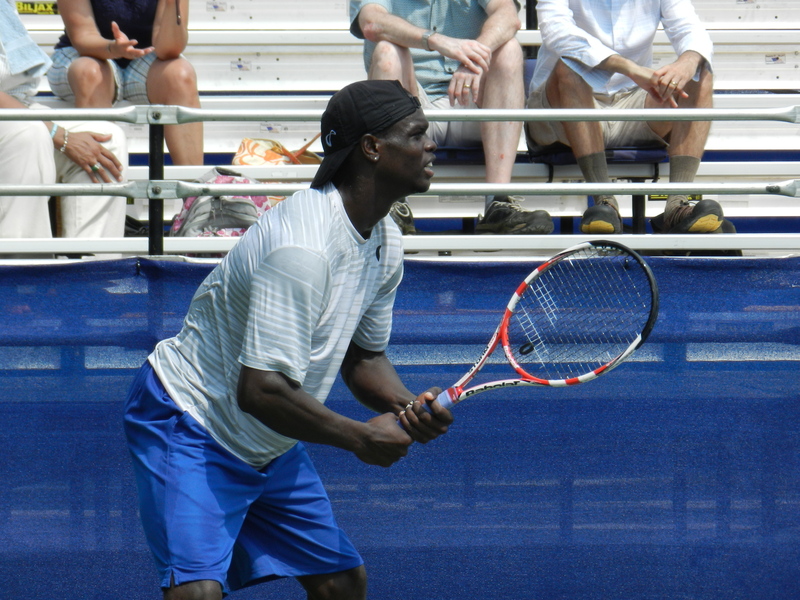 Williams had dinner with Ginepri on Friday night and looks up to the Georgia veteran of the tour. 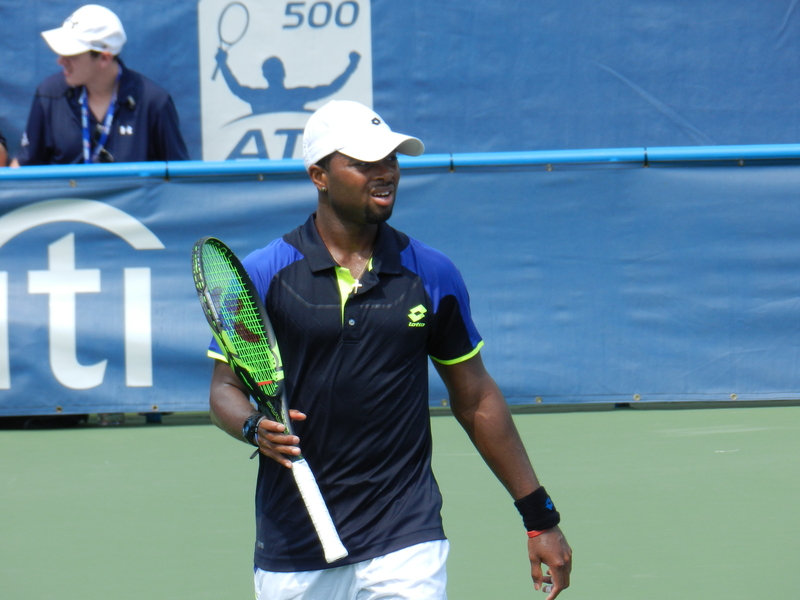 That didn’t stop Williams from grinding out Ginepri in three sets. Christian Harrison continues to play beyond his young age after impressing in Atlanta earlier in the week. He survived the talented but lately unlucky Marinko Matosevic, 6-3, 3-6, 7-6(7). With each match, the younger Harrison seems to become wiser and more focused. Tim Smyczek recovered after a second set letdown to advance to a qualifying final and emerging victorious over Alexander Peya in three sets. WTA play was overwhelmingly dominated by the WTA debut and first pro win of 14-year-old Argentinian-American Usue Arconada, who trains ten miles away in College Park, Maryland. Arconada hardly looked under pressure in a straight sets win over Maria Irigoyen of Argentina. 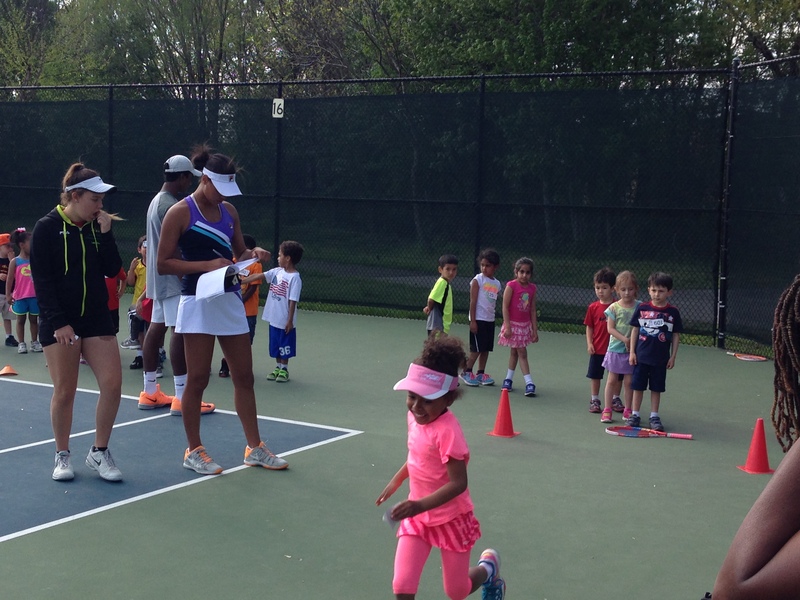 WTA play was also dominated by quick and dominating victories. Only one women’s match went the distance on Saturday, while the men went to three sets six times. 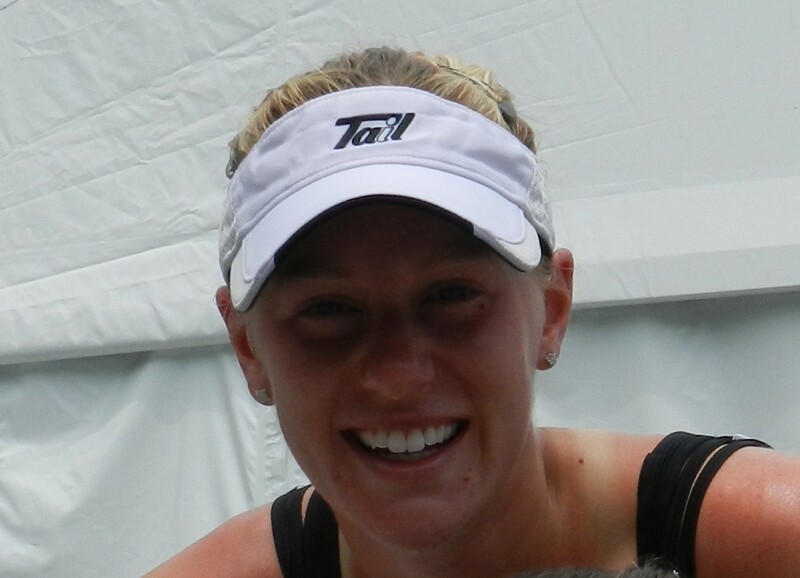 Jennifer Elie won the most contested WTA match over Adriana Perez, 6-0, 4-6, 6-2. 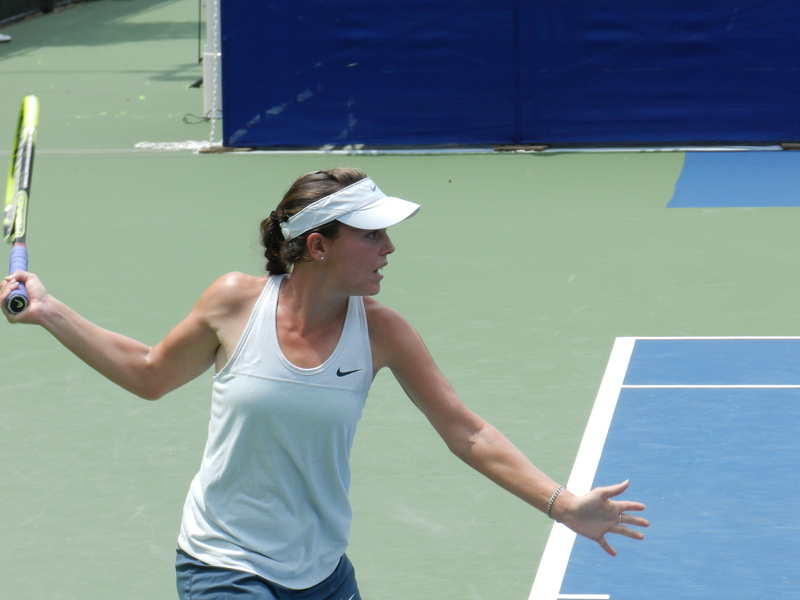 Top qualifying seed Michelle Larcher de Brito had little trouble with rising American Louisa Chirico, 7-5, 6-1, while American Victoria Duval was able to advance over fellow American Lena Litvak, 6-4, 7-5. Other easy winners included Shuko Aoyama and Alexandra Mueller. The qualifying field will be looking for main draw entries in the final round on Sunday. On Stadium Court, Matt Ebden and Saketh Myneni will open at 10 a.m., with Rhyne Williams vs. Samuel Groth. Next up will be Somdev Devvarman against Christian Harrison, with Alex Kuznetsov and Malek Jaziri to finish. 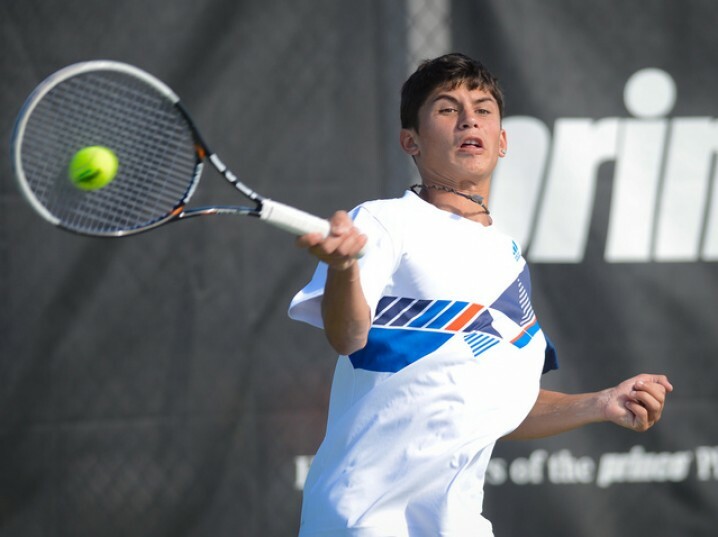 On Grandstand 1, Jesse Levine and Yuichi Sugita will kick things off followed by Michelle Larcher de Brito matching up against young American Victoria Duval and Tim Smyczek taking on UVA’s Jarmere Jenkins. On Grandstand 2, Irina Falconi faces Jennifer Elie, Jessica Pegula attempts to qualify against Shuko Aoyama, and Alex Mueller will play 14-year-old Usue Arconada.